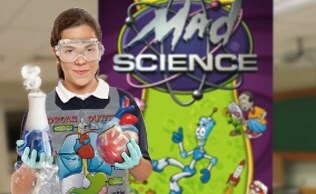 Class Summary: In this class students will get to whip up a few science experiments and activities that will help them learn all about the world of food and how it relates to science. Students will explore the chemical reactions that takes places during the preparing and digesting of food. In addition they will also learn about specific food substances through analyzing and exploring of certain food ingredients. As part of the course students will also get the opportunity to test food samples to learn about nutrients such as starch and protein. Educational Value: This course not only teaches students about the chemical reactions that occur in the kitchen, but it also explores the reactions that occur within our bodies as part of consumption and digestion. The children will learn all about the nutritious aspects in certain foods, as well as how those nutrients can help in the growth, development, and functionality of our bodies. Perhaps one of the coolest experiments within this class is the demonstration of how yeast feeds on sugar.